Hey y'all and welcome to another What's Hap-'pinning' Wednesday post. Remember to link up with Jenn and I below to share what's going on with you! 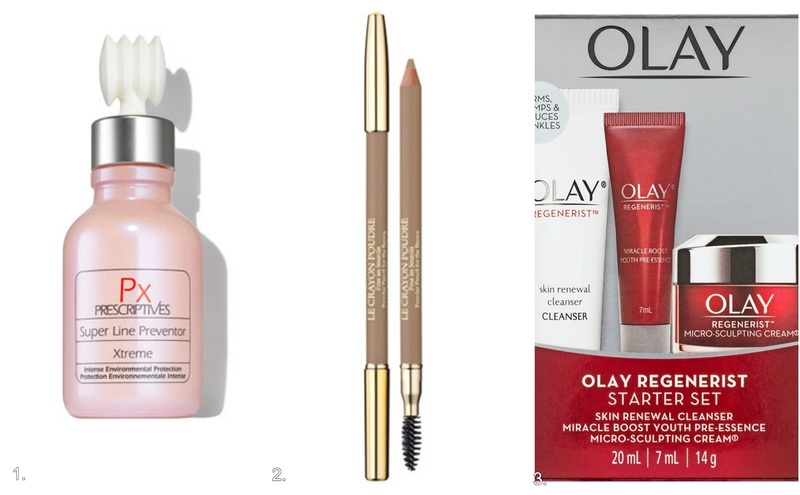 Today I'm sharing my top style and beauty favs for Spring. I finally went ahead and pulled the trigger on switching out my closet from Winter to Spring/Summer and of course it was freezing this morning - like 40 degrees freezing! 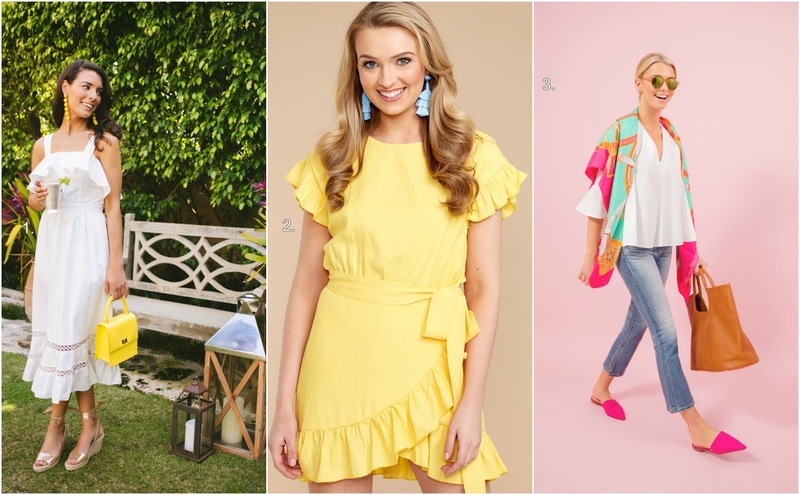 (thank goodness I left some long sleeve favorites in there) Anyway, there's so many Spring sales going on at all of my favs and I want to share what I've currently added to my Spring must-have list. I've also ordered some new beauty products to try along with my tried and true go-tos so I'll share those as well! J. Crew Factory, Tuckernuck, Lilly Pulitzer and screen shots from LiketoKnow.it that almost always lead to Nordstrom are usually my favs but I do love a good Ebay score as well (#EbayQueen) AND - did y'all hear? Julia from Gal Meets Glam is releasing a dress collection and it launches THIS Friday! I'm pretty sure I haven't been this excited since Reese Witherspoon announced her launch of Draper James y'all! 4. Bareminerals - but I need liquid foundation recommendations! Help! I love the Dior Forever Foundation. It lasts forever! All really good picks! 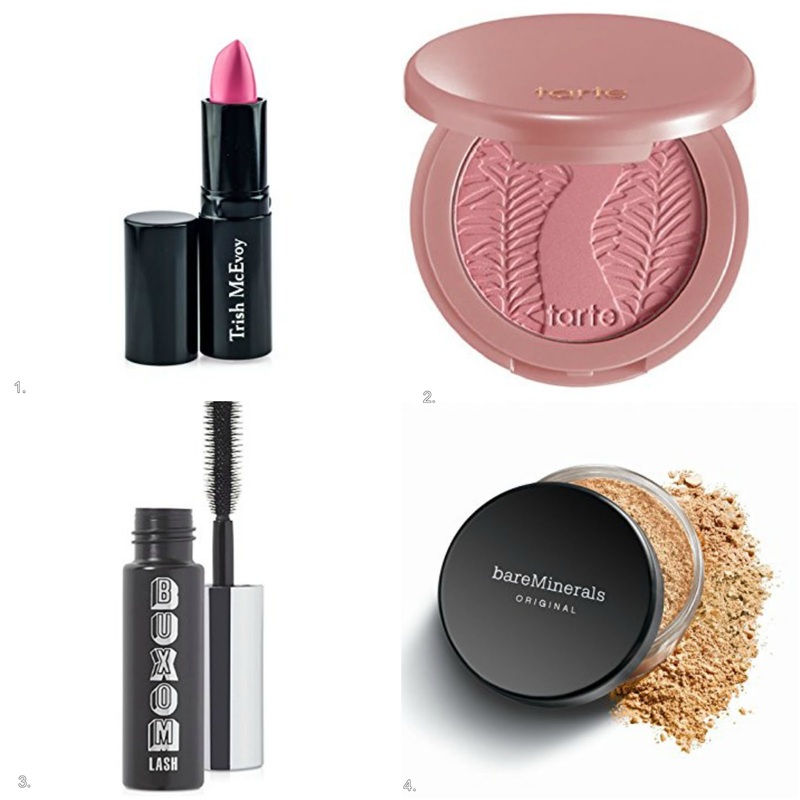 I have that Tarte blush and it is perfect! So excited for the release of her collection. I need to get some miler sandals, but I always chicken out. I love that middle dress on the top and the yellow one would look gorgeous on you! So so ready for Spring time! Winter has to GO! I love my Miller sandals and I have the same color! All of these spring looks just look so cute and festive! I agree with all your makeup pics, have them all and love! Happy Hump Day! I wish all of those dresses and shoes would GET IN MY CLOSET! They are all darling! I couldn't wait to swap out my closet either & packed away my boots and sweaters this past weekend.... and of course it snowed today. I have been wanting a pair of those Tory Burch sandals! I am trying to justify the price although I can only wear them maybe 3-4 months out of the year. So much awesome stuff here!! I made the switch in my closet weeks ago and that was down right stupid since it's literally been snowing all of April!! I LOVE those earrings and that yellow ruffle dress!!! That yellow ruffle dress is so pretty! Absolutely perfect for spring! I LOVE those Miller sandals, but have yet to pull the trigger on them, even after years of lusting, haha. So many cute clothes on here. It makes me want to overhaul my whole closet.